Celebrate that person who always shows up! 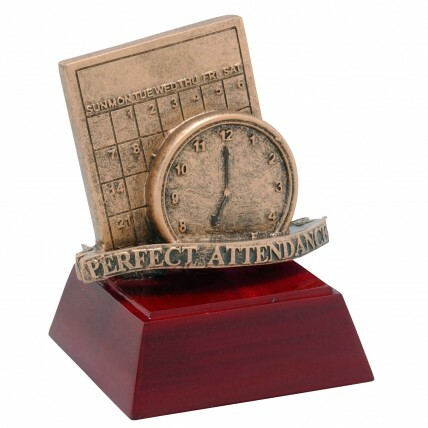 The perfect attendance resins have a beautiful gold calendar and clock on an elegant rosewood colored base. Gold lettering on a black brass plate make the Resin Perfect Attendance Trophies an award all will love!